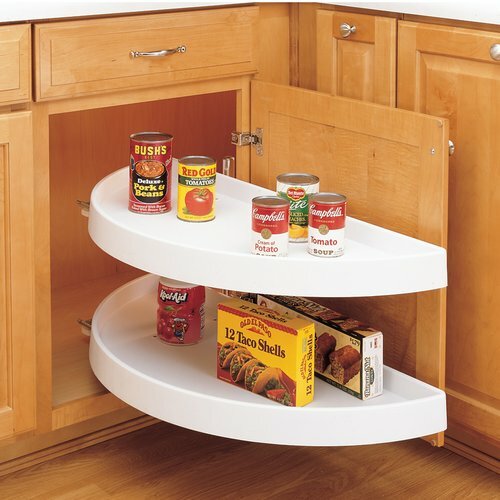 Every blind corner base cabinet can become functional with the half moon lazy susan system. Features include different hinge mounting brackets and chrome plated hardware. Need help buying the perfect half moon lazy susans? 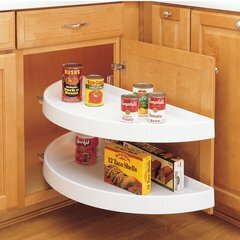 Visit our Half Moon Lazy Susan Buying Guide for complete information on lazy susan types and how to prepare for your lazy susan project. Just what I expected worked great. And your service reps were great. Also, shipping was prompt but, a little high. all iall a good experience. The quality of the product as a whole was better than I expected. My only problem was some of the screws needed for the installation were missing. Luckily, I had some on hand. The worked out very well. My installation looks like the picture on your web site. However, I am a professional; I can't imagine a homeowner installing this piece without some know-how.